Uxbridge’s Vyners School was celebrating this week after being awarded first prize in a nationwide photography competition. GCSE student Ruby Cripps beat competition from across the UK to be crowned the winner by St. Modwen – the UK’s leading regeneration specialist – which set up the competition to celebrate the company’s 30th anniversary. Challenged to capture the theme of place-making through the medium of photography, over 400 entries by GCSE art students across the country were submitted. Ruby was selected from just seven finalists as the overall winner and was awarded a state-of-the-art camera and £3,000 towards Vyners School’s Art Department. Earlier this year, each school attended a photography workshop at a local St. Modwen development site, hosted by professional photographer, Stephen Burke of the Telegraph and Financial Times. Ruby’s winning photograph was taken at St. Andrew’s Park, the former RAF Uxbridge site which St. Modwen along with its partner VINCI is transforming into a mixed-use development of 1,300 new homes, a 40-acre public park, a new primary school, retail, offices and a theatre. 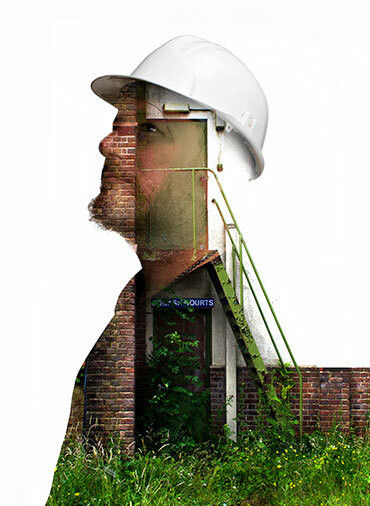 The photograph, which shows a construction worker overlaid on photographs of the former RAF buildings, was commended for the way she successfully captured the essence of place making, by combining the history of the site with the present to reveal a place in transition. “We wanted to use our 30th anniversary to build on our schools engagement programme and link education with regeneration, art and urban design. Not only has the photography competition achieved this, but it has also enabled us to capture what regeneration looks like in 2016 to a new generation. The students are growing up with regeneration projects right on their doorstep and the competition has helped them to explore their community and get an understanding of what it is that gives a true sense of place to any community”. The seven finalists were invited to a place-making workshop, hosted by Max Farrell at Sir Terry Farrell’s architectural practice in London followed by a ceremony hosted by the Princes Foundation for Building Community. The photographs were judged by a panel of industry leading judges and the prize itself was presented by Lord Lingfield who is a committed educationalist, conservative peer and the former Pro-Chancellor of Uxbridge’s own Brunel University.